This quilt was made for sweet baby Chloe who was born on June 10th. It was fully custom quilted. Unfortunately I forgot to take a picture of the finished quilt but Chloe’s Grandmother was kind enough to send me one. I volunteered to do the longarm quilting on this charity quilt made by members of the Edmonton Modern Quilt Guild. Here is a close-up of each of the nine blocks. I had a little fun in the solid black squares on this quilt . I love when I get a charity quilt with some quiet background space. Instead of doing a pantograph I get to use my imagination and do some custom quilting. Its a win/win for me and the charity. This quilt top was a little too busy for custom quilting so I opted for a pantograph called Maple Grove. I had the pleasure of working on this beautiful heart inspired appliqué quilt. Peggy used beautiful batiks and the colours are just gorgeous. She gave me permission to quilt it any way that I wanted as long as it was densely quilted. Because of the dense quilting I had to do a lot of ditch work to keep the shape of the quilt. I tried to emphasize both the on point and heart shapes. Thank you Peggy for giving me the freedom to indulge my imagination/creativity. I did this freehand heart design in the sashing. Looking at it from the back…..it is almost like a whole cloth quilt. A few weeks ago I received this lovely thank you card from Lezley Zwaal the founder of Quilts of Valour Canada. It was a much appreciated and thoughtful gesture. As a longarm volunteer for Quilts of Valour not only do I do the longarm work but I also supply the batting. In 2016 I have completed two donated quilt tops and I have another one coming to me to work on this weekend. Last year I offered my longarm quilting services to Quilts of Valour. 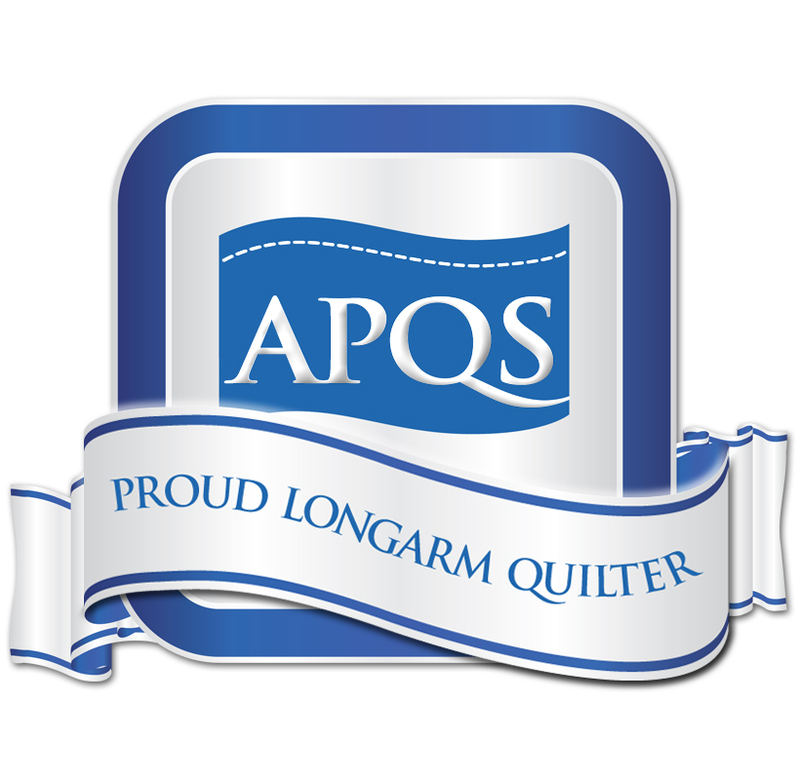 People donate quilt tops and fabric for backing and they ask longarmers to provide the batting and longarm services for free. I received these two quilts in January. One is a very busy batik quilt so I used an edge to edge design called Dazzle. The second quilt has a lot more background space so I chose to custom quilt it. Ironically the donated quilt top was from Quiltessential’s 2011 Block of the month program and I made the identical blocks (here is a link to my finished quilt).